Okay, we may not update this page very often for some reason, but this doesn’t mean we’re out of the running. So, I just wrote this little blog post to give some insight on what we did in late 2015 and in 2016 so far. 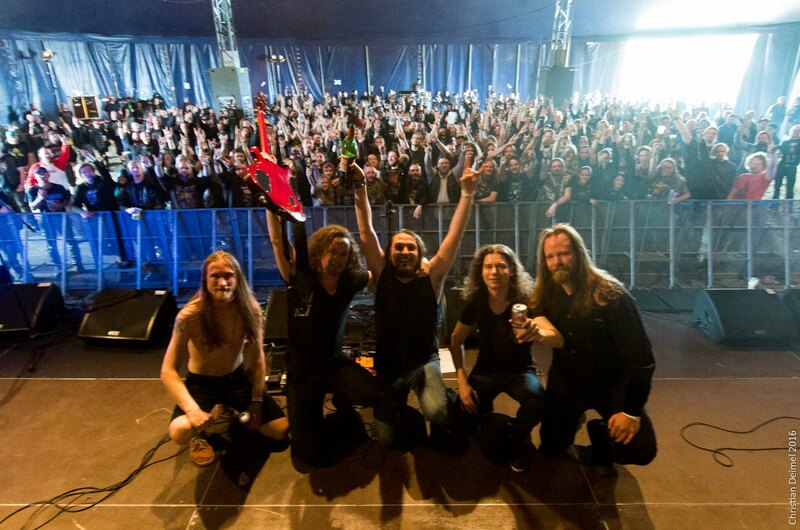 This year, we played the fully packed tent at Dong Open Air (with Bloodbath, Amorphis, Haggard, Fleshgod Apocalypse and many more) at 11:45 in the morning, we had a blast in Bern, Switzerland where we met the DJ Bobo’s Drummer, we had a blast in Reutlingen and Munich and in Franks hometown Münster. All in all, we feel like we have gained lots of experience and hit the stages harder and tighter than ever before. Furthermore, Frank and me have made some creative storytelling. He read some fairytales that we used as the basis for Grimm I & II’s lyrics, while I arranged some ambient/drone music for it. You can find the result on our Bandcamp account. For the next months, we will focus on creating new concepts and music. We have already written a bunch of songs and some rough ideas of how the next record might sound like. So, that’s about it for now. As i mentioned, we don’t use this wordpress page very often. Our facebook page on the other hand is always up to date. The way we are we stay!